My College Options - When Is It Too Late to Apply to College? Resource Center → Parent Resources → College Admissions → When Is It Too Late to Apply to College? Has your student procrastinated past the college application deadline? Did your student decide he didn’t want to go to college but has now changed his mind? Is your student unhappy with the college acceptances she’s received and wants to consider additional schools? 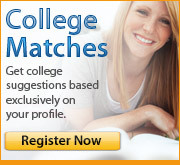 Have your student’s grades improved so much over the past year that she’d like to expand her college search? If any of the above situations sound even remotely familiar, you may be lamenting the fact that it is now too late to apply to college. The truth is that it may not be too late. Many colleges continue to accept student applications well past posted deadlines and throughout the summer. Some schools have Rolling Admissions, which means that they continue to accept students until the class is filled. Other schools have deadlines, but are willing to make exceptions and look at applications after the deadline. Some schools may even continue to accept students right up until the beginning of classes in late August or early September. If your student has a particular school in mind, the most direct method would be for your student (not you) to call the college and ask about the policies. Your student should be prepared to explain on the phone, and then later in a letter, why she is applying late and why she would be a good fit for this particular school. It is important that your student look carefully at the school’s admissions criteria first. She needs to be sure that the school actually is an appropriate choice. If your student would like to apply to college late, but doesn’t have a school in mind, it may be helpful to check out the Common Application website. Using the Search and checking First Year and the current fall semester will show schools still accepting applications. Another option is to search for schools with rolling admissions. Of course there are never any guarantees, especially when it comes to college admissions, but it is almost never too late for your student to give late admissions a try. There are some cautions, however. Your student should be careful to do a thorough and careful job. Encourage him not to rush and do a poor job of preparing his application materials. He should submit a complete admissions packet with nothing missing. An Admissions Office may not consider an incomplete application at all. There may be an additional late fee for applying beyond a deadline. There is a possibility that housing may not be available, at least for the beginning of the semester. Financial aid may or may not be available, although federal aid may still be possible. If your student is not accepted late, or chooses not to apply late, there are still other avenues of possibility. Your student may opt to spend a semester working or attending a local community college and apply for January admission or transfer. He may choose to take a gap year to have an alternative experience and apply next year. The path to and through college is a winding and diverse path. Not all students approach the process or the journey in the same way. It is important that your student know that options may still be available to him and that, ultimately, his path will lead him forward.